Hello Dave - Well, I have now taken up residence at dear old Farragut. My address is - T.A. 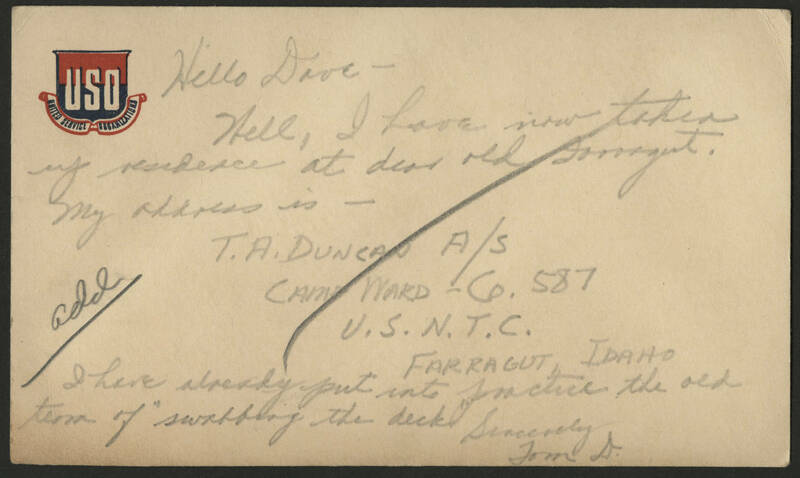 Duncan A/S Camp Ward- Co. 587 U.S.N.T.C. Farragut Idaho I have already put into practice the old term of "swabbing the decks" Sincerely Tom D.